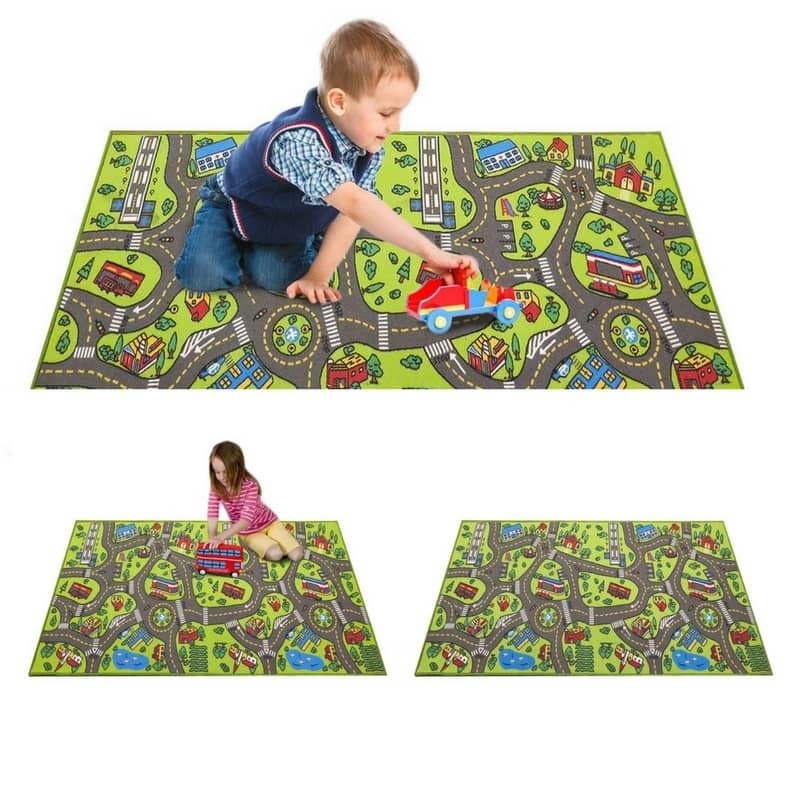 When you have a child who likes playing with cars, you’ll love a roadway play mat for his/her bedroom. It’s not any ordinary mat. 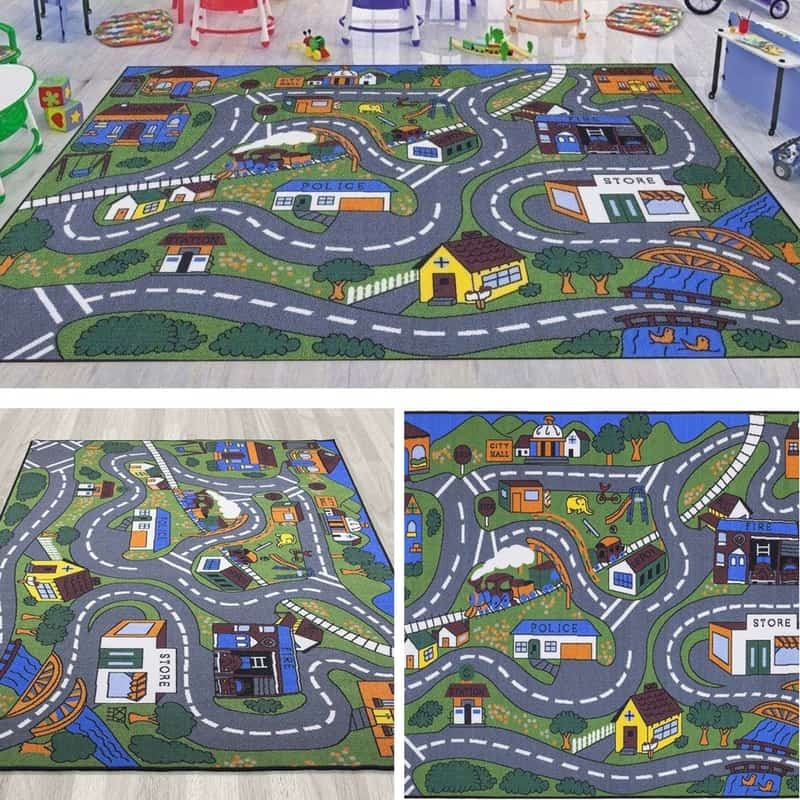 It’s a rug that has roads and buildings that your child can use to play pretend with his matchbox cars. It’s genius really. And it’s one that parents with kids who love cars appreciate. 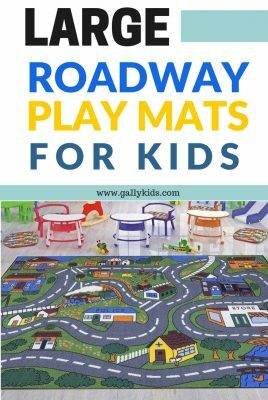 Roadway Play Mat: What’s So Good About It? A roadway play mat is primarily used as a rug. But it’s also a wonderful place to play for kids who love cars. The mat is like a city map. It has cars with pedestrian crossings as well as buildings that you see in most cities. These buildings include hospitals, schools, houses, fire stations, police stations and more. It’s a nifty room decor to get kids to play pretend –which we all know helps a lot with their brain development. Here are some of the bestselling matchbox car playmats we’ve seen. The Angels city rug is one of Amazon’s bestselling road rug. It’s large at about 79″ (6 foot 5 inches) by 40″ (3 feet 3 inches) and it’s also affordable. It’s made of soft fabric and is big enough for many kids to play with it at the same time. It’s not as lavish as a posh expensive rug, but for a play mat in a child’s bedroom, this is more than enough. The rug is the right thickness so that you can use it on top of another rug. It also has a non-skid backing so that it doesn’t slide around when it’s used on floors with no carpets. For a much bigger road rug for toy cars, you’ll love the Ottomanson Road Traffic System. It measures 8′ 2″ by 9’10”. This works well for schools, nurseries or doctor’s waiting area. It also makes a nice rug for a bedroom if it has the space for it. Now you know exactly how good road rugs for toy cars are, you’d want this rug with you all the time. What you need is a portable roadway play mat. These are smaller versions which you can take with you when you travel with your kid. They’re also good for a busy bag activity. That’s why we made a printable matchbox car playmat as part of our travel binder printables for toddlers. It’s very useful and fun for kids to play with when you’re out and about. There are two different city maps in the kit. Your child can play with them separately, but you can also stick them next to each other, to make a bigger map. Click here to see our travel binder activity printable at the shop. I’m sure you’ll love it. If you prefer to make your own, you can DIY this too! No it’s not a rug or a printable, you need to make it all from scratch. But if you have the time to do this, you’ll love the easy instructions in the video below. You will need some markers, vinyl fabric and a finishing spray. And if you do make this, do send us a picture of your creation. We love seeing what our visitors make for their kids. 1. It encourages imaginative and pretend play. Imaginative play is a very important developmental milestone and one that we need to nurture and encourage in kids. Research has shown that pretend play has a very important role in developing social skills, emotional development and thinking skills. 2. For toddlers, it’s an excellent way to introduce new language and vocabulary. If you stay and play with them too, you can also teach them about what goes on inside each building. Talking like this with a young child as they play greatly improves language development.